Board Certified Orthodontist treating children, teens and adults. Specializing in early interceptive treatment and dentofacial orthopedics. As a doctor and a specialist, I always want to project excellence and professionalism that reflects the years of education and experience I have attained in treating thousand’s of children teens and adults with orthodontic appliances/braces/guidance. I never wanted to be seen as a “strip-center” specialist with low-budget finish-out and minimal commitment to the area for which I provide service. Certainly it is more and more difficult to find free-standing offices in cities that commit long-term by building an office exclusively for themselves and their patients. Costs have skyrocketed, land is limited, and banks don’t want to lend large sums when they know a doctor can open a low-budget alternative that he/she can walk away from without debt. In general, if there is no other independent around, there should be no problem with an Orthodontist in a strip center who is planning to eventually expand into a real office. However if there is a choice, I believe the professional in the free standing building is more committed long-term to both his/her patients and his/her community and is more established with a longer record of success and experience. Orthodontists who have re-invested in their practice by purchasing or building an independent office have made a conscious choice and considerable effort to be a part of the community and are demonstrating ownership of their patients; they expect to see their patients for many years, even after treatment and they plan on being around for more than a generation. This is the highest level of specialist you can find; they are normally very experienced and they know they are servicing neighbors and friend while building a professional reputation. Most of the time you will notice these specialists carry Board Certifications others do not, and they usually give back to their communities heavily. They may live close to their office and can be seen helping with emergencies after hours. They are not drifting in to skim off patients and profit from another area but they are part of the area, paying the same taxes and sending their kids to the same schools as their clients. Without independents wanting to invest in their community and having pride in their facility, the choice would be between a company owned and controlled, multi-doctor (and changing doctor) office or a temporary lower-budget lease space next to your local Randall’s Grocery store, dry cleaners or nail spa; and you would pay the same or more for your efforts! I am proud of my facilities and I want them to reflect the excellence I strive to provide for each and every patient. I want my patients that come to me to know I take my practice seriously and will be around for many years. And although it has taken me years to achieve this success and stability, there was (and continues to be) never a time I was not pushing forward and re-investing in my practice while working intently to control costs internally so that I could keep prices for patients reasonable and acceptable to all. I feel a great pride when I hear patients exclaim how they can’t believe we are the same cost as others when we have such a great office. So if you have a choice, why not support the independent Orthodontist that re-invests in your community, that pays taxes for your schools and even has children attending those same schools? Why not treat yourself to a higher level of service in a clean and independent facility that exists only for you and your family’s orthodontic needs? You will pay no more and will have the confidence that your Orthodontist is experienced, caring and planning on being around indefinitely through thick and thin. If you have questions or comments concerning this or any orthodontic question, please feel free to make a complimentary new-patient appointment at either my Steiner Ranch location or my North-central Austin location on West 35th street and MoPac. Dr. James R. Waters is a 1996 graduate from UTHSC Dental School in San Antonio, 1997 graduate of Advanced Dentistry from the UNMC in Nebraska and the 2001 Valedictorian graduate from the prestigious Saint Louis University Orthodontic Program receiving the J.P. Marshall award for clinical excellence in 2001. He holds a Bachelor’s Degree in Science, Doctorate in Dental Surgery, a post-doctorate certificate in Advanced Dentistry, post-doctorate Degree in Orthodontics & Dentofacial Orthopedics and a Master of Science Degree in Orthodontics. Dr. 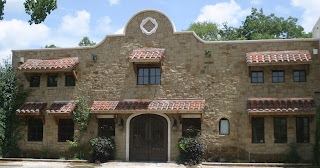 Waters and his wife of 19 years live in Austin, TX with their 4 children where he has a thriving, multi-faceted Specialist practice with locations in Steiner Ranch and North-Central Austin. You can learn more about Dr. Waters at BracesAustin.com. Is the “One-Stop-Shop” right for my children when it comes to Orthodontics? With today’s changing landscape of insurances and high overhead/taxes, it is becoming more and more common in larger areas and cities for doctors to not only offer more services (some beyond the scope of their education and experience) to increase profit, but also for doctors to share overhead or even work as an employee of another to reduce responsibilities. And although this may seem logical, there are many pitfalls to this arrangement which directly and indirectly affect patient care. For my field the new trend is to see either newly graduating orthodontists or older semi-retired orthodontists working a day per week in multiple Pediatric Dental offices. They do this to have immediate and guaranteed referrals (and usually to cut off a competitor in a different area of town). This is sold to the patient as a convenience; a one-stop-shop for all of their child’s dental needs. In reality, it takes away the “ownership” of the patient by the orthodontist since the patient is really the patient of the pediatric doctor and the orthodontist is just visiting as a part time employee (or more likely a contractor) that may stay or go at any time (and for any reason). The patient is never given a referral based on their specific needs (many orthodontists are experienced in sub-specialties such as early treatment/aligner trays/traditional and more complex treatments/adult treatments) and the pediatric dentist has a financial benefit to keep the patients within the practice even when the orthodontist is very new or semi-retired. This almost never benefits the patient and if there is a problem with the appliances, the orthodontist will not be around. Almost always it is a temporary relationship, lasting 1 to 3 years and then another cycles through; this may sound fine but since most treatments take 2 years and many early cases are watched over 3 to 5 years, there is no continuity of care. Does the “one-stop-shop” save money? Absolutely not; there will be little to no savings by staying within the same office, only a reduction in comprehensive care and likely a lack of “ownership” by the doctor. Why is this always a transient relationship? Because no specialist will work “for the man” after 20 years of school and debt; they are only at the pediatric office for one of three reasons: they have sold a practice and are winding down, they are newly graduated and cannot afford to start a fresh practice (or buy into one), or they are paying a pedodontist to cut into another competitor’s area because they cannot bring in their own patients with their own reputation. Also, foreign dentists many times cannot start or own their own practice and must therefore work for another doctor. So are there exceptions? Yes, there are reasons some may work together; spouses may share space or perhaps a doctor does not want to work full time (of course some pedodontists decide they can also do braces and just start offering orthodontics without specialty education, usually and conveniently leaving this information out when offering such to their young patients). But the majority of one-stop-shops will fit into the initial criticism which is bad for the patient and bad for the profession. You as a patient have a choice, but you have to use common sense, you should question a referral to the in-house doctor by asking for credentials; How long has “your” doctor been in practice? How long have they been with you at this office? Do they work for you or are they just coming into the office and paying rent? Do you refer everyone to this in-house doctor? Are there any independent orthodontists nearby for another opinion? It is unfortunately a reality that patients can be treated as property in the dental field without even realizing they are being bartered or even sold. It is the reason in my state (Texas) that only a dentist can own a dental office so businesses that focus on profit alone cannot affect treatment. Of course this means the dentist, pedodontist and orthodontist must have an ethical philosophy that places the patient above all else. It is the reason I practice in my own offices without financial allegiance to anyone but the patient. I prefer to be a real part of the communities I serve and I want to show the commitment to the patients so they know I am re-investing in their communities for their long-term care and the care of future generations. As always, if you have questions or comments concerning this or any orthodontic question, please feel free to make a complimentary new-patient appointment at either my Steiner Ranch location or my North-central Austin location on West 35th street and MoPac. Why are kids in braces so early today? Who do you trust when you get two opinions, one to wait and one to treat? Why are kids in braces so early today? Who do you trust when you get two opinions, one to wait and one to treat? Choosing an orthodontist for your family can be more daunting than you would expect when your child has a more severe or developmental malocclusion. All Orthodontists are trained in all aspects of orthodontics including traditional braces, preventative/interceptive treatment, treatment with aligners and also dentofacial orthopedics (the treatment of the developing arches and supporting bones during growth) but not every orthodontic program is as strong in each area and time is limited despite being 2 to 3 years of full school (you can compare this to generals dentist offering braces who may take a 6 months course for 2h per weekend or less). In truth, there is little time to follow growth and development of individual patients which may need treatment from age 8 through 12 or even 14 year of age. Most Orthodontists have to build upon their knowledge from school with years of literature study after school and a mentorship with a more experienced practitioner who has treated cases for many years. Some Orthodontists simply never pursue further knowledge for such cases; they may instead use surgery later to fix a jaw dysplasia or remove permanent teeth to keep the treatment in a single phase v. an early phase (which they know may well still require a second phase of braces). With all of this, the public is left to discern who is best for them and who to trust. My advice is to request a review of multiple similar cases already treated by the Orthodontist. We all keep records for many years and if an Orthodontist cannot produce similar cases with successful results you may want to look around for someone with more experience for your specific needs. 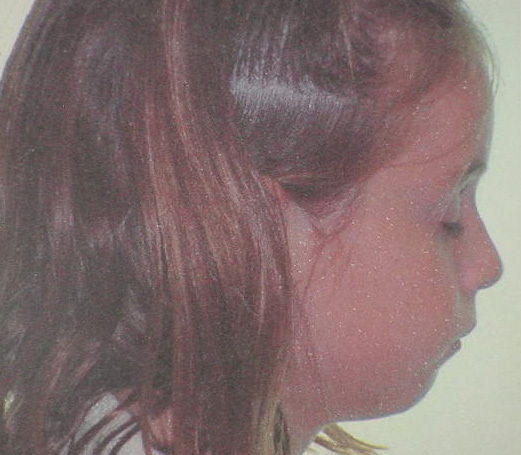 At age 7, this patient presented with a severe Class II (mandibular hypoplasia) malocclusion. The literature has shown us that a Class II patient will remain Class II if we do not interrupt the existing growth pattern and alter the equilibrium back to normal growth. IF we treat early enough, there will be time for the lower jaw to “catch up” naturally. After examination It was determined the upper jaw was narrow which constricted the lower jaw and drove it backward. Since muscle forces are stronger than the growth potential, the lower jaw could not grow forward. Now compare the before and after following expansion for 6mo and use of an appliance to de-program the distal closure from the muscles and allow the lower jaw to grow un-impeded for an additional 12mo. 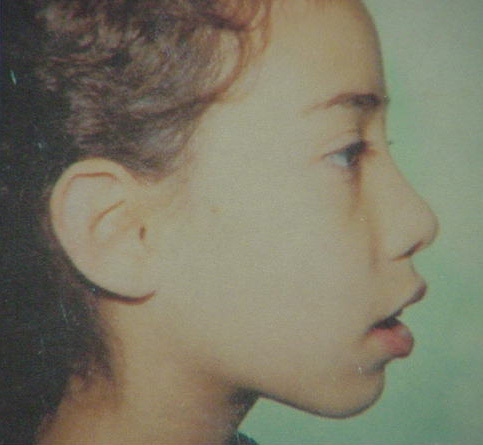 At age 7y 7mo, this young lady presented with such severe overjet that several Orthodontists had already condemned her to surgery later which meant she would live with the overjet until age 17 to 18, then go into full braces and have mandibular advancement surgery at that time. When I saw the patient on a third opinion, I remember admitting that we probably could not prevent surgery but thinking of my own daughters, I felt we could reduce the amount needed with early intervention and improve the face at least some during the important adolescent years. At the time, I felt 12mm overjet could not be corrected even with early treatment. Following treatment to restore the arch width in the upper jaw and help restore growth to the lower jaw, I was surprised to see how the growth came back and was able to fully correct the overjet. Since we were following the patient closely, we also had baby teeth taken out in the proper sequence to help the eruption of the permanent teeth. As the teeth erupted, I changed to a “positioner” which is not unlike a custom mouthguard fit to the patient’s size of teeth but in ideal occlusion. The result was a perfect occlusion with ideal overjet and overbite; and no braces (as with all great deeds however, I was surprised when mom was upset her younger sister presented with simple crowding and we recommended braces!). the more important it is to treat early." Note that both of these patients were 7 years old which should answer one of the main questions this discussion is meant to address. 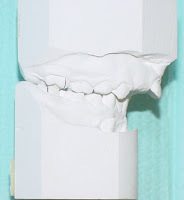 The more severe the skeletal malocclusion, the more important it is to treat early. 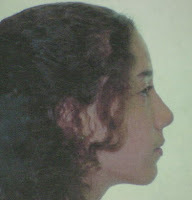 The sooner the bite is corrected, the sooner growth and development returns to normal. 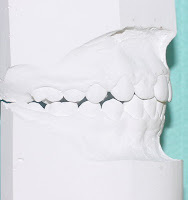 If nothing is done to correct an early skeletal malocclusion, every other tooth will eventually be stuck trying to erupt into less space; this leads to crowding, impaction of teeth, and eventual loss of permanent teeth in many cases. This patient presents with only mild crowding but her teeth are forward in the bone making it difficult for the patient close her lips at rest. Aligning her teeth would actually worsen this profile so instead we removed four bicuspids (ne in each quadrant) and pulled her front teeth back while aligning the rotations. 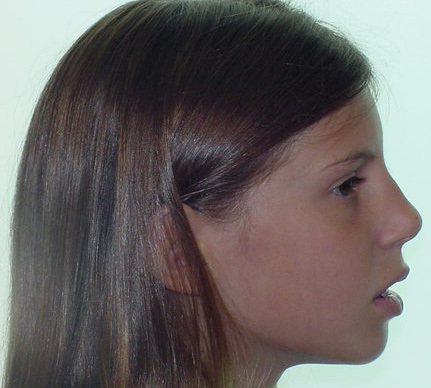 Following the orthodontic correction, you can see the patient is able to close her lips at rest, improving her profile while still allowing correction of her malocclusion. "Make sure they are actually Orthodontists and not just offering “orthodontics”. Consider Board Certification and experience..."
So do your research and ask questions when seeking out your family orthodontist. Make sure they are actually Orthodontists and not just offering “orthodontics”. Consider Board Certification and experience with tougher cases and request to see before and after cases treated at the office with similar problems (more severe if possible). Interview the staff a little on the phone; they may give you a hint if certain aspects of orthodontics are not really performed at that office. Make sure you and your family are comfortable then trust them throughout treatment. There are always different ways to treat and one Orthodontist may just have a different path that fits your needs and provides excellent results. Try not to listen too much to nay-sayers on the neighborhood blog with poor generic advise. 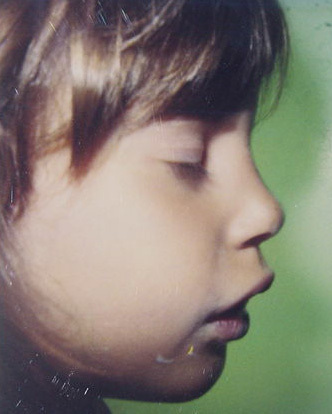 Remember every child is different; occlusions are no more similar than two kids look alike. If you hear Headgear or expansion, remember that no Orthodontist wants to be the guy or gal that does these things; if they recommend it, they are doing so based on the needs of your child. Consumers today have been bombarded by advertising efforts to align their teeth with “invisible trays” or “invisible aligner trays”, first by corporate advertising but later by their own general dentists and friends. In fact now, even the specialists have been squeezed to the point that many have just given in to consumers’ desires and now offer extensive treatment with clear aligners knowing that the overall occlusion cannot be fully corrected. As a practitioner for 19 years and a Board certified Specialist who was training when Invisalign was first introduced, I have been witness to the evolving marketing from correcting minor alignment, to partially correcting the front teeth to now correcting adolescent crowding and severe malocclusions. The initial introduction was created for specialists to correct minor relapse or alignment when the roots were already in good position with the idea that the Orthodontist is trained well enough to know the limitations and to realize when function would be compromised. Within a short time, the General dentists sued the manufacturer and the settlement allowed the General dentists to begin using Invisalign without the extensive base of knowledge or experience that a specialist has earned. Within the next 10 years, every dental office that needed to supplement their income began offering these trays until the specialist realized that if they did not “embrace” these trays, then the majority of adult patients would pursue treatment elsewhere even if the education and experience level was very low. Today, I would argue due widespread failures and relapse seen with clear aligners, dentists are trying to increase their profit base by offering trays to teens. Of course with compliance paramount for any movement and with patients still growing (altering the relationship of the teeth during treatment), we can only expect more failures. I am particular amused (and disappointed) to see recent graduates with only a couple of years experience, yet to finish even 100 cases, claim they can do anything with aligners from teens up to adults; then leaving the care of the patients up to whatever the technicians in India provided and whatever forces the trays from Mexico can exhibit. When it doesn’t work, they either blame the patient for a lack of compliance, or they claim “that has never happened” and then place real braces to “finish”. And if the consumer attempts an honest research of the systems, they again get bombarded by a deluge of self-described experts and company-provided/biased “articles” blocking any real critique on search engines. These companies spend millions to keep their products in favorable light online where there is no standard of truth and no ethics. I would wager that Invisalign alone or it’s “top providers” own at least the first 5 pages of Google at any one time. So what exactly is the process for aligner trays and how can so many non-specialist dentists offer it if they don’t have extensive knowledge in orthodontics? Simple, clear aligner providers exist by outsourcing the treatment from the digitizing of the impressions and teeth to the movement of the teeth digitally, to the fabrication of the treatment models and finally the fabrication of the trays. Then, to add to the mix, most have their limited trained assistants with little to no formal training, place and monitor the trays from appointment to appointment. It has become common to even hand out months of trays to the patient with instruction to just change them out to tighter trays every 2 to 3 weeks without any supervision. How long will it be before there are scanning kiosks in the malls and mail-order treatment with more outrageous claims? Probably not long. So is this a service to the public? Is this what to expect for the future? I would say no to both and so would most true Board Certified Specialists. Do I compete with dentists and other orthodontists that provide and even push aligners looking to pad their bottom line? Yes, but I maintain that as a specialist, I should only treat to the highest standard. It is not my place or the philosophy of any specialist to offer less than the best functional and esthetic correction and it is malpractice to knowingly introduce functional problems at the expense of lining up the “front six”. I have seen many of the parents of some of my patients with atrocious and iatrogenic (doctor introduced) malocclusions that are only missed because the dentist who provided the “correction” did not critique his own work and no one else sees the patient’s teeth unless they change to a new dentist. I would wager that if every patient “treated” with aligners switched to a good dentist and asked about their bite, a large majority of them would be shocked at the assessments. 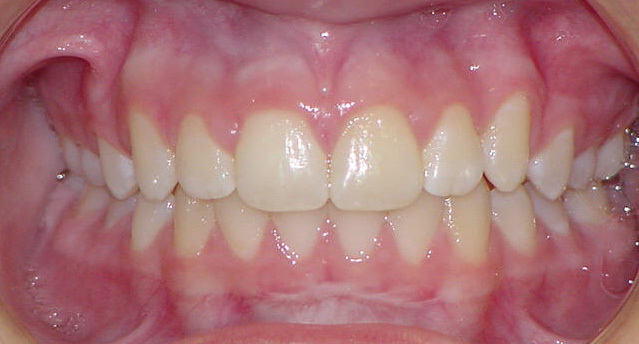 So is it wrong to only partially correct alignment if there is no functional malocclusion present or introduced? Not necessarily and many adults are just looking for a little alignment but they should receive realistic expectations including limitations and possible problems after a partial or incomplete alignment such as a shift in the occlusion, premature contacts, an openbite due to incomplete alignment and settling, and even possible joint discomfort. Aligners are simply unable to move the teeth the same as fixed braces and perspective patients need to know when limited treatment is acceptable and when it is contraindicated (this is of course where it becomes more important to seek advice of a certified and ethical Orthodontic specialist). There is (although there is still limitations even with a better aligner system since the trays have to be loose enough to be removed and changed out by the patient); Orchestrate is the only clear aligner system made by and for Specialists only. It has the same technology where the teeth are scanned with a 3-D laser and digitized. But instead of sending the file to India and having the trays fabricated in Mexico, Orchestrate allows the Orthodontist himself/herself to move the teeth digitally in all dimensions, fabricate models with a 3-D printer and make clear trays as they are needed, all on-site under the control of the Specialist. Tray materials can be changed based on the needs (more flexible trays v. stiffer trays), and even partial trays can be used in conjunction with fixed braces where more force is needed (once the more difficult movement is made, the bracket can be removed and the remaining treatment completed with trays. 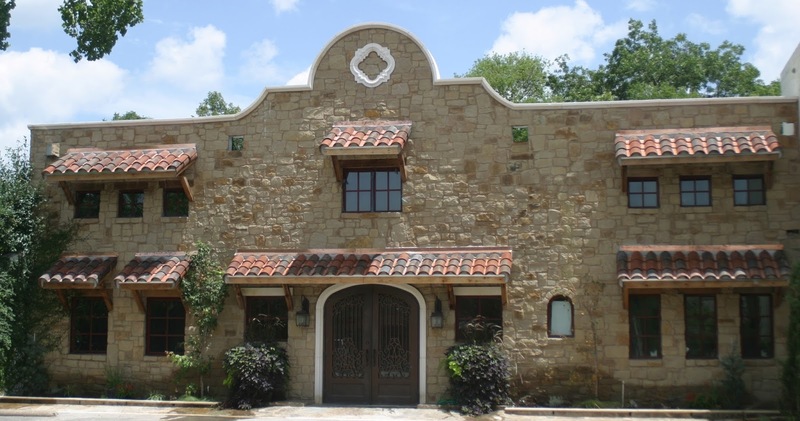 It is fully customizable and controlled on-site by your well trained specialist. In my practice, I offer Orchestrate but I educate the patients before offering such and I do not recommend removable aligner trays for a growing adolescent. I also offer the same treatment with clear braces which is usually half the fee and half the time estimate so the patient knows all the facts. In the long run, I would rather lose patients to aligner providers than treat patients with sub-par outcomes that are bound to relapse or create functional problems following alignment. Unfortunately this may not be the common philosophy and once treated poorly, many cases cannot be recovered once damage is done (at least without significant effort and cost). So when looking for treatment, consumers must consider the education and reputation of the provider, they need to understand the difference between a general dentist and a specialist Orthodontist, and they need to be able to discern between what they may want to hear and what they may actually need. Consumers should ask questions about education levels, they should be wary of marketing materials not endorsed by the American Association of Orthodontists or the American Board of Orthodontics and they should ask for the limitations and risks of aligner treatment versus fixed braces. Finally, consumers should use common sense when considering treatment with removable aligners; clearly if they really worked in most cases, we simply would not still use braces and specialists would not need 3 years of advanced, post-doctorate residencies to move teeth. My child needs a Palatal Expander, what is it and what can I expect? and what can I expect? I have discussed the rationale for and the various types of expanders in previous articles so I will limit this discussion to the types of expanders and what to expect when your child comes home for the first week. 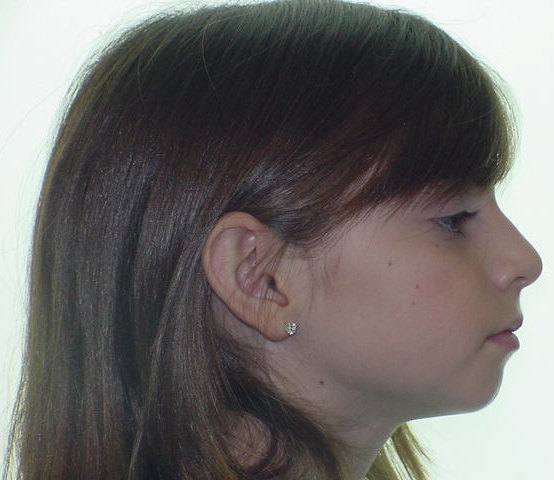 First of all, remember that expanders should only be placed on the upper arch since they are meant to move bones; the upper arch (maxilla) is formed from several pieces that do not fuse together until the mid to late teens. The lower jaw pieces fuse around birth so you cannot “expand” the lower jaw; an expander on the lower jaw will push the lower teeth out of the bone leading to relapse as well as a significant risk of recession. Expanders are made up of a hyrax screw and some type of anchorage system to attach the screw to the upper teeth (they will use erupted teeth as anchorage). The screw is fairly universal, all expanders will have a similar mechanism where a “key” is used to turn the screw which then expands the two sides of the expander apart. These are the three types of expanders; note the screw is the same in each. The Removable Expander is generally not used by specialists since it has been shown to only tip teeth and not truly expand the bone. Besides the obvious problems associated with all removable appliances (compliance and loss being the two most common), any “expansion” from a removable expander will be mostly dental and not skeletal and is therefore going to cause extrusion of molars, tipping of the back teeth outward and opening of the bite which will lengthen the face and have a tendency to open the bite. 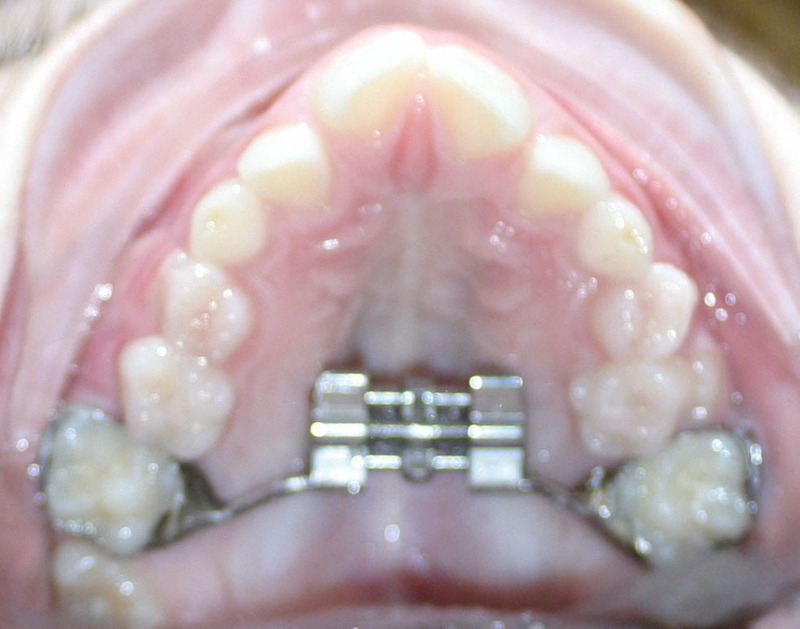 The Banded Expander is the most common expander used though it also will cause tipping in most cases, especially when used in younger patients with a mix of primary teeth and only the permanent molars. As in the case above, note that the screw is already turned but the front of the arch remains narrow and tapered. When you look closely you will that only the molars where the expander is attached have moved out but the bone remains narrow. This expander also can allow molars to tip outward which in turn leads to relapse and can open the bite and the bands are difficult to clean around leaving areas that can become decayed if oral hygiene is not stellar. 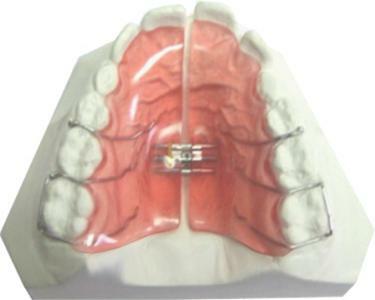 The Bonded Expander is the most specialized and efficient of the three expanders. It includes a clear acrylic plate over the back teeth which is more rigid and stable than either of the other expanders. It also acts as a bite splint to de-program any shift in the jaw which is commonly present with crossbites. Vertically, although the forces from the expansion will want to extrude the back teeth out of the bone, the acrylic overlay prevents this by allowing the occlusion from lower teeth push the upper teeth back into the bone throughout treatment. Finally, the bonded expander covers not only the permanent molars but also the primary molars for added stability and protection against cavities. They have to be custom made for each patient and fit to accommodate individual occlusions so they are a bit more difficult for the orthodontist. For the reasons above, I will not include further information on the Removable Expander but will instead focus on the remaining accepted Banded and Bonded Expanders. The first thing you need to know is that YOU will be turning the expander at home. Since we want gradual movement, you will need to activate or turn the expander, usually once to twice per day (see below). Step 1: In a well-lit area tip the patient’s head back. Step 2: Place the key in the hole until it is firmly in place. Step 3: Pushing the key towards the back of the mouth, you will notice the fender will rotate and the new hole will appear. The rotation stops when the key meets the back of the expander. Step 4: By pushing back and down towards the tongue, remove the key. The next hole for insertion of the key should now be visible. This counts as one turn. The second thing you need to expect is that your child will have a little trouble swallowing for the first day or three. This normally manifests as some extra drool and a slurpy noise every 5 to 10 minutes for the first evening or so. I find the best way to help children get over this is to send them for an ice cream cone right after placing the expander (of course they know to brush afterward!). It is important to choose a cone, not a cup, because this forces the child to lick and swallow continuously and will quickly retrain the tongue where to position itself to swallow normally. Having had two children go through this myself, I can tell you that you will want to do whatever is necessary to get them to stop making slurping noises. Ice cream also has the added benefit to show your child he or she can still eat with the expander. I often use the analogy of placing scotch tape on the pad of a cat’s foot and watching him refuse to walk, that is until he overcomes the mental block of feeling a foreign item on his paw. The expander will be similar but your child, like mine, will be able to eat just about anything within a day or two. You will need to expect an adjustment period to be able to fully understand your child. It takes a day of talking (and speaking more slowly) for your child to learn to talk around an expander, usually with their “s” sounds. Have them practice counting slowly from “60” to “70” swallowing between every 3 to 4 numbers. Do this until they can say “Mississippi” like a southerner. Another great tool is to have them read a Dr. Seuss book the first evening. A little “Cat in the Hat” goes a long way to restore speech. Finally, make sure you actually make them talk, don’t let them slide by nodding and grunting. Lastly, let your child’s teachers know that they may be talking a little funny for the first week; if they don’t know what an expander is, you may have them “Google” it or they can visit this site so they know what to expect. If you have an older child in band or choir, talk to the band instructor and assure them your child will be back to 100% with whatever instrument within a week or so. Two final bits of advise I will share have to do with keeping the gums healthy and the teeth clean. First, make sure your child always has water after every snack/drink/meal. Plaque takes hours to form so a good rinsing with water will clean most of the food and sugar away from the teeth and the appliance. Add a daily rinse with a Fluoride rinse like Listerine’s Total Care or Act with Fluoride; this not only provides fluoride to help re-mineralize teeth each day but also keeps the gums healthier and will usually prevent the gums from “puffing up” during treatment. Last but not least, brush twice daily and after brushing their teeth, make sure your child re-brushes their gums above and around the expander. So there you have it, a crash course in rapid palatal expansion. Just remember that expansion can prevent removal of permanent teeth later, can reduce risks of impaction to teeth that are blocked due to a narrow upper jaw, can reduce the time in treatment for orthodontics later and can even prevent braces in some cases. Is there such a thing as "Faster" braces? Is there such a thing as “Faster” braces? In today’s inpatient society, we are always looking for a faster way to do something; always looking to save time (and money if possible, but definitely time). So it is no surprise that companies and doctors have begun to advertise a faster way to do things. Of course there are clinical researchers always pushing the technology to improve treatment times but the limiting factor is rarely the physical appliance or brackets themselves. Bone takes @14 days to remodel and we have learned that light continuous forces allow for the bone to remodel as the teeth move. The older technique with stronger and stiffer wires would place too much pressure on the bone and not allow the living bone to remodel as the teeth moved; this led to necrosis or bone death through a lack of oxygen which in turn would actually slow the movement down. Additionally, because forces were very high, there was an increased tendency for damage to the roots of teeth. When using the newer super-elastic wires, there is more energy stored in the wire itself allowing for more consistent and continuous forces; the forces are now controlled by the engineering of the wires to allow tooth movement and bone remodeling without leading to necrosis. The movement is not only more comfortable for the patient and healthier for the teeth, but the movement of the teeth in the long run is actually faster and more predictable. This is the true limit of speed when moving teeth and we all must obey the laws of bone physiology. The other way some practitioners or companies may offer “fast” braces is to allow the teeth to “tip” instead of moving the entire tooth. This may line up the tops of teeth only to relapse later as the roots remain crooked. Tipping also stress the bone around the neck of a tooth and the very tip instead of spreading force out along the entire length of the root; this action places very heavy forces on the leading edge and the bone at the apex of the root tip which can lead to destructive forces affecting the long-term health of the roots and the supporting bone. So, are there real options to speed up the tooth movement? The answer is yes but generally it is not seen as worth the cost and effort. Probably the best way to drastically increase tooth movement involves using the body’s own physiology to accelerate bone turn-over around the teeth while braces are used to place forces necessary to move the teeth. This is done by “flapping” the gum tissue away from the bone along the dental arches and de-corticating (or perforating) the bone around the teeth where rapid movement is desired (I use this regularly around molars I want moving faster when I send to have Wisdom teeth removed). IF an entire arch is de-corticated, tooth movement can be 50% faster however the procedure is a significant enough surgery that in most cases it is prohibitive. It is probably more common when there is a lack of anchorage or a stubborn tooth and the Orthodontist wants to speed up movement in one area versus another. Research has also shown that site injections of Prostaglandins and specific Bone Morphologic Proteins can also temporarily speed tooth movement enough to reduce treatment time but again the cost and effort seem to make this not necessary in most cases. Finally, there are those that claim certain brackets have less friction and therefore move teeth faster however prospective studies just don’t seem to prove this; there have been studies that show friction is different with different types of alloys we use in the wires but again the overall treatment time is not greatly affected when looking at true root movements. Case reports do seem to show some support by practitioners but it seems these practitioners become more of an advocacy for more of an advertising angle so it is difficult to trust this over the prospective and juried research papers seen in the literature. 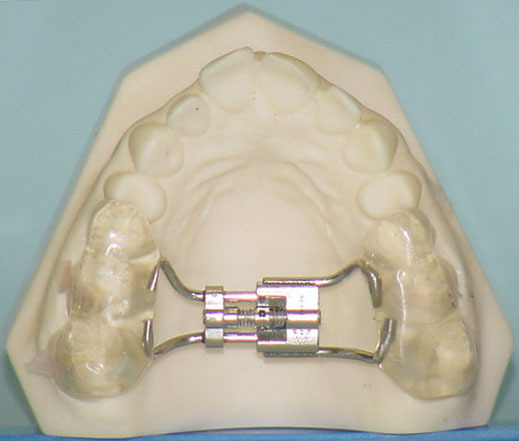 I simply have not seen definitive proof that any type of bracket can move a tooth faster correctly, meaning a true root movement, simply because of some advertised advantageous design (including self-ligating or tipping braces). Sometimes as a consumer you simply must differentiate between what is true and what someone perceives you want to hear. If there was a faster way to move teeth correctly, we would all be using it! Faster for you means more patients for the orthodontist, cheaper treatment, happier patients and finally more profit. So you can trust that if and when there is a silver-bullet discovered, we will all be using it.